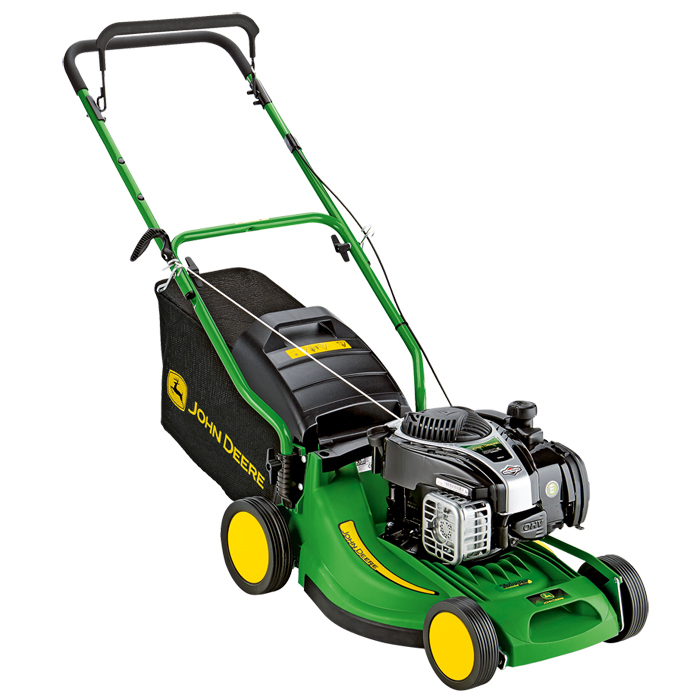 The John Deere R40 walk behind mower is small but mighty. 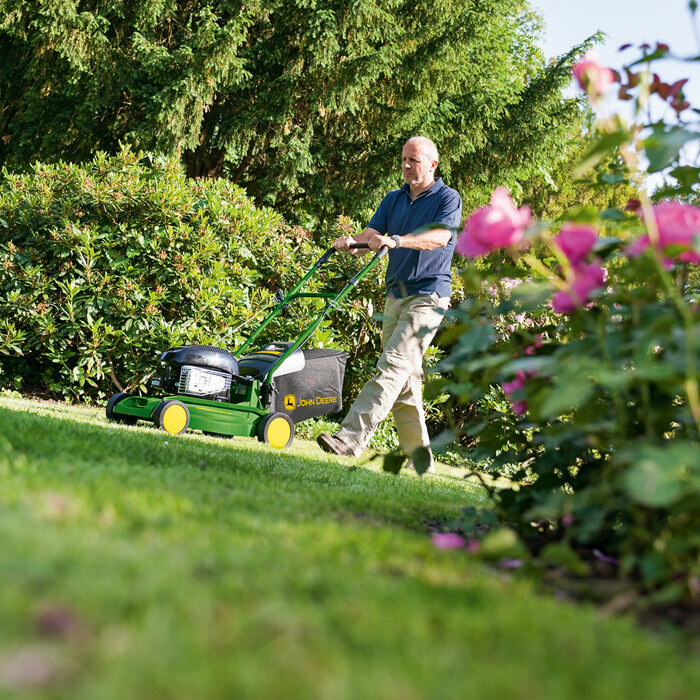 Complete with the legendary durability that you expect from John Deere, you can depend on the lightweight yet trouble free 16" (40cm) polypropylene mower deck. 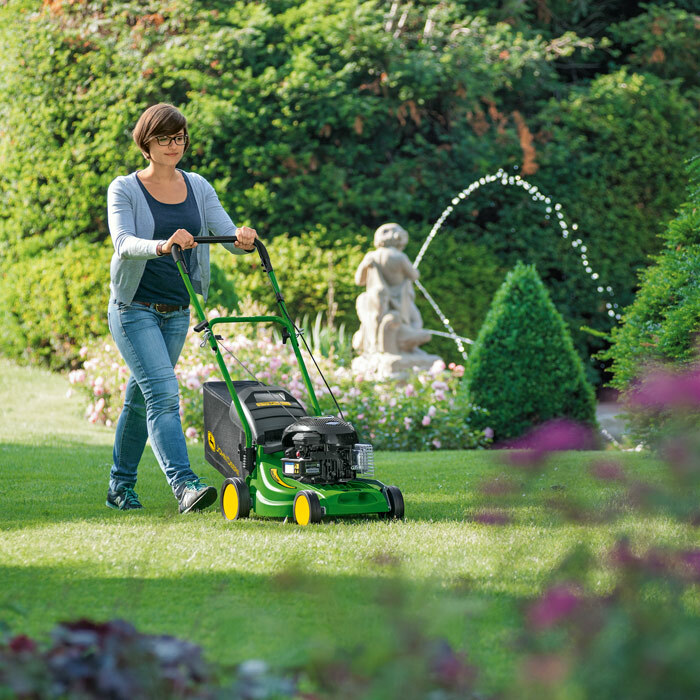 The R40 is also fitted with the exclusive TurboStar Grass Collection System which provides an outstanding cut with unparalleled suction for dense packing of long grass and damp leaves. Plus, when the bag is full, the collector signal indicates that it should be emptied. Quality Deck - The R40 features a 40cm (15in.) high quality polypropylene deck. The quality of construction is highlighted by the 10 year consumer warranty given to the deck. In addition to strength it is also lightweight for easy handling. Simple Height of Cut Adjustment - A single button controls the height of cut for the R40, making changes very simple for the operator. It allows a selection between 25 and 75mm (1 ­ 3 in) providing choice for different times of the year or for varying grass requirements. Durable Wheels - The wheels are fully enclosed which removes the potential for grass clipping build up and are constructed of highly durable plastic. They also feature ball bearings which reduce the effort required when maneuvering the machine. Powerful Engine - For reliable and consistent performance, the R40 features a 2.1kW (at 2800 rpm) net power engine. Zone-start system requires the engine to be started from behind the handlebar and holding down the operator-presence control, also located on the handlebar. When the control is released, the engine and blade stop. Mulch Capability - The R40 can be easily converted to mulching with the addition of an optional mulching kit.